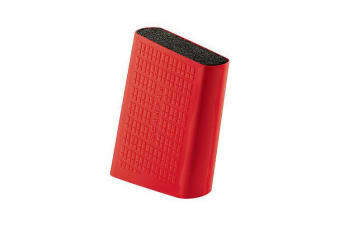 This great looking block will house all your separate knives safely and in one place. It has a tightly packed polypropylene brush inside that will part just enough to insert your knife, but not too much as to let it slide inside. This sleek block can house knives up to 24cm in length and should be only hand washed. Cleaning/Care:Hand wash block casing and brush only. Do not machine wash.